Eight U.S. Soccer Development Academy clubs in the northeast region are creating the Northeast Girls Development League starting in the fall 2019. The objective is to provide a 10- month league to enable players in the age groups of U12 & U13 to develop their skills at the highest level. The Northeast Girls Development League was developed to create a competitive league platform for the U12 & U13 age groups that aligns with the US Soccer Development Academy model as well as US Club Soccer’s Players First principles. 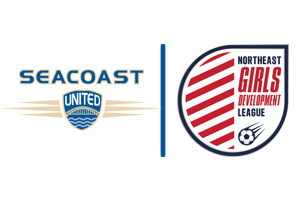 “Seacoast United is excited to be part of the GU12 and U13 Northeast Girls Development League. This allows us to give players a clear pathway into the Girls’ Development Academy from an early age to help with their long-term development,” said Chris Scott, Seacoast United Girls’ US Development Academy Director. Seacoast United has been a member of the US Soccer Development Academy since its inception in 2007. The club was awarded DA status for the girls’ program in spring 2018 and is the sole northern New England club to maintain Academy teams for both boys and girls. Learn more by clicking here. Seacoast United Sports Club was founded in 1992 with the simple mission to advance the physical and social wellbeing of children and adults through competitive athletics. With its headquarters based in Hampton, NH, SUSC operates full year teams and developmental programs in soccer, field hockey, baseball, softball, and lacrosse with facilities throughout New Hampshire, Maine, and Massachusetts. Learn more at www.seacoastunited.com.